In today’s society, serious disputes can ruin a company, a family or an individual. Litigation is costly – not only financially, but also emotionally. Even conflicts not yet in litigation can take a toll. An organization in turmoil over employee accusations of impropriety or sexual harassment…siblings disagreeing about how to help an increasingly frail parent…a supervisor frustrated about ongoing complaints from his work group…. Issues like these are best settled outside a courtroom but can be impossible for those involved to resolve on their own. 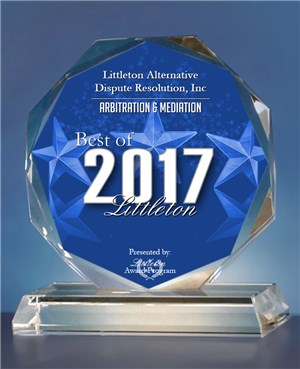 Littleton Alternative Dispute Resolution, Inc. (LADR) provides arbitration and mediation services. Our trained professionals are attorneys who serve as neutrals to bring parties in dispute to resolution. Knowledgeable, caring, experienced…we know the law around arbitration and mediation and, just as important, we know people. We can assist you to resolve conflicts by creating a level of comfort that doesn’t exist in the courtroom. Each of our attorney-neutrals has extensive litigation experience as well as experience as a neutral – helping people and organizations resolve conflicts amicably. Katy Miller, Gary Clexton, Mike Miller is committed to helping you pursue the most favorable and cost-effective resolutions possible in your unique situation. Whether you require assistance resolving an employment law dispute, family law dispute, commercial or engineering and construction dispute, elder law dispute or have other mediation and arbitration needs, we have the ADR experience and knowledge needed to help you move your proceedings toward swift resolution. Contact LADR to learn more about our arbitration and mediation services. LADR is based in downtown Littleton and associated with the law firm of Miller & Steiert, P.C., founded in 1959. 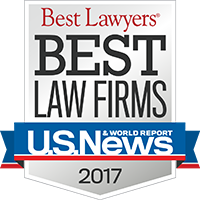 Our attorneys have litigated and tried thousands of disputes and have seen first-hand the toll litigation takes on all parties. In response, we created LADR to offer another way – an alternative, to help people find solutions through arbitration and mediation. At LADR, we resolve conflicts through mediated negotiations and, where appropriate, we emphasize building, repairing and enhancing relationships. Our services are varied to suit all types of disputes – employment; discrimination; family disputes, including elder law disputes; personal injury; contract, commercial and corporate; and transactional. We also have been selected by federal agencies to do on-site dispute resolution as well as serving as monitor under consent decrees/settlement agreements.